It was my first time to get weighed for a plane ride. We rode Cebu Pacific's Cebu-Caticlan plane. They weigh not only your baggage, but you and all the handcarried things you have with you. It was my first time to go snorkeling near Crocodile Island off Boracay. The waves were HUGE on the way there, but the sights underwater was well worth the bumpy boat ride. It was also my first time to stay in Milflores de Boracay, a very good value-for-money option among the many Boracay hotels available. 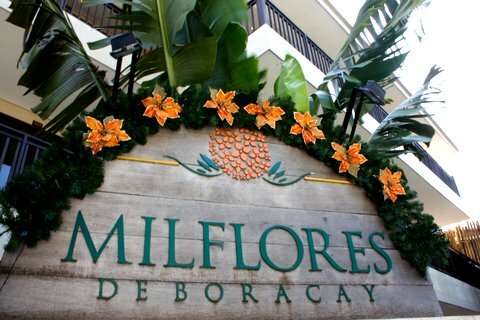 When I first heard about Milflores de Boracay, I did not expect a lot. All I knew was that it wasn't a beachfront Boracay hotel, and that it was pretty cheap at Php2,300 per room. Knowing Boracay hotels and considering it was peak season, I surely didn't expect great accommodation. Little did I know that I was in for a big surprise. The entrance was unassuming. It was a small gated hotel, and when you enter you'd see a small space for their reception desk and cafe. What struck me the moment we arrived was that we were greeted with warm smiles. It seemed the staff awaited our arrival, and they greeted us politely. They served cold orange juice so we could refresh ourselves from the long trip. They gave us our keys and led us to our rooms. Milflores was a small Boracay hotel with only 3 floors, and the entire building only had 10 rooms. When we got to our rooms, we soon found out that they were very spacious. The design had a modern feel to it, and I liked it very much. Each room had 2 queen-sized beds that could easily fit four people. It was equipped with the basics: TV, aircon, and a nice bathroom. 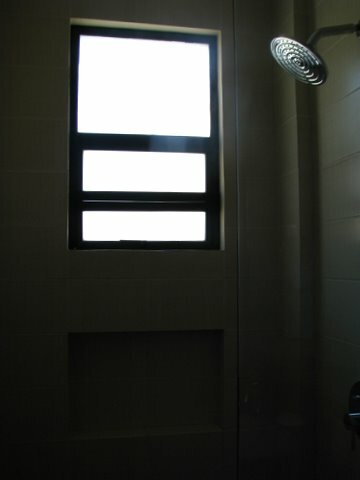 I liked their shower head. It's wider than the regular ones you find in most hotels. Eco-friendly guests will love Milflores de Boracay more since this Boracay hotel uses a solar hot shower system. More than the room accommodation, what really sets Milflores de Boracay apart from all the other Boracay hotels is that they really deliver in terms of their customer service. Other than the warm welcome, they helped us with everything we needed. When they didn't have a function room for us, they searched another hotel that could accommodate us. They are willing to attend to all our requests, even when we ask for an ice bucket at midnight. They arrange for us everything we need -- from land transfers to paraw sailing to island hopping. You could say we were really pampered guests because all we had to do was wait at the hotel and they'd arrange everything for us. All in all, I had a great stay at Milflores de Boracay and I would love to stay here again. 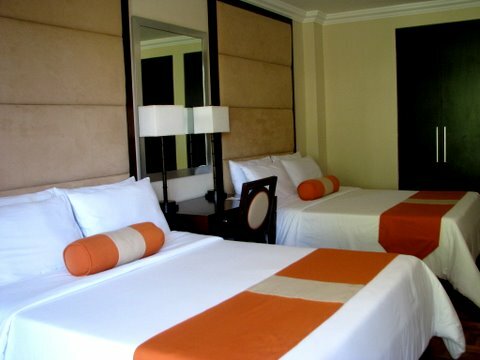 It's a nice hotel to stay in when you visit Boracay with your friends and you guys are on a budget. This Boracay hotel advertises a rate of Php2300 available all year long, and you could easily split this among four people. The rate comes with breakfast for two, and they serve very good Filipino breakfast. Milflores is definitely good value for your money. I haven't stayed in any other Boracay hotel that gives as much value for money as Milflores de Boracay! For those picky with location, Milflores is not far from the beach even if it's not a beachfront Boracay hotel. The beach is a mere 1-minute walk away from the hotel. Milflores de Boracay is located on Station 1 too, so for those eager to visit those bars at night you don't need to walk far to get back to your hotel. I googled Milflores's site and their prices are relatively affordable. Nice. Thanks for sharing! hi dyosa! im glad you like this post useful :) my blog is really about helping other travellers out there :) thanks for the visit! Nice blog.Very clear and interesting one. I'm glad there are still hotels that have very good accommodations and at the same time offer relatively affordable rates. Thank you for the nice article. I'm going to pass that on to a couple of people.